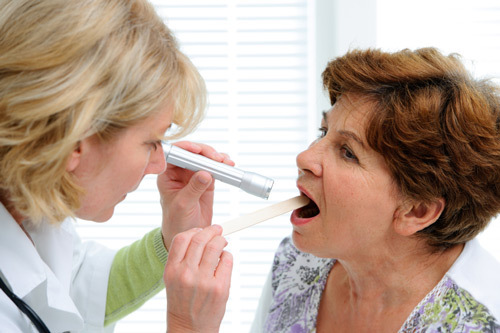 Home » General Health » How Long Does Strep Throat Last in the Elderly and Adults? Have you ever had a terrible feeling in your throat, as though you’ve been gargling razor blades, to the point where you wonder if it might be more than just a simple sore throat? You’d be right. Strep throat is caused by the bacteria Streptococcus pyogenes and is most common in kids between five and 15; only five to 10 percent of sore throat cases in adults are strep throat. But that said, how long does strep throat last in adults and the elderly? And is strep throat contagious? Spoiler alert: it most definitely is. Is Strep Throat Contagious? How Does it Spread? Strep throat is absolutely contagious. It’s a bacterial infection that affects adults, children and the elderly alike. How do you get strep throat? It’s normally transmitted through the air via particles emitted through coughing and sneezing, which makes it easily transmitted from person to person, but it can also be spread through indirect contact, such as sharing utensils or glassware. Places where people live and work together closely, such as daycares, campuses, schools, and offices are common areas for strep to be passed around. How Long Is the Strep Throat Contagious Period? How Long Does Strep Throat Last? The contagious period for strep throat is up to three weeks if a course of antibiotics is not taken to kill the infection. If antibiotics are taken, strep throat is no longer contagious after 24 hours. However, you can also be contagious for two to five days before you start presenting any symptoms, which also helps spread the disease since you’re unaware that you even have it. Once it’s been confirmed that you have strep throat (through a swab test performed by a doctor), and you’re left to deal with that awful, itchy, scratchy, painful feeling, the first thing you might think is When will this pain go away? Some warm lemon and honey tea can help soothe the irritation while you wait for the antibiotics to kick in. Once antibiotics have been started, symptoms will likely start backing off within 24 hours but can linger for up to five days. It will last much longer, up to two or three weeks, if no antibiotics are taken; plus you might develop worse complications, such as rheumatic fever or kidney disorder. Symptoms of strep include headache, chills, itchy throat, painful throat, difficulty/pain swallowing, loss of appetite, and fatigue. Wash your hands frequently. It sounds common, but it isn’t done enough. Wash your hands with hot water and soap every time you use the washroom, sneeze, cough into your hands, shake someone’s hand, or are around a person who is sick. Avoid sharing towels, napkins, and drinks because they can spread the infection. Have everyone use separate utensils and cups/mugs. Strep is mostly common in children, but adults and the elderly can get it. It’s best to see your healthcare provider for a swab test to determine if in fact you do have strep throat rather than just a sore throat. “Strep Throat Symptoms: 11 Things You Need to Know,” Huffington Post web site, February 28, 2014;http://www.huffingtonpost.ca/2014/02/28/strep-throat-symptoms_n_4874981.html/, last accessed March 1, 2016. “How Long Is Strep Throat Contagious?” About Health web site, last updated February 18, 2016;http://ent.about.com/od/livingwithentdisorders/f/How-Long-Is-Strep-Throat-Contagious.htm, last accessed March 1, 2016. “Is Strep Throat Contagious?” Medicine Net web site; http://www.medicinenet.com/is_strep_throat_contagious/article.htm, last accessed March 1, 2016. Coles, T., “Sore Throat vs. Strep Throat,” Winnipeg Health Region web site; http://www.wrha.mb.ca/wave/2014/03/sore-throat-vs-strep-throat.php, last accessed March 1, 2016. “Strep Throat Prevention,” EMedicine Health web site, last updated February 12, 2016; http://www.emedicinehealth.com/strep_throat/page8_em.htm#strep_throat_prevention, last accessed March 1, 2016.